NEW BEDFORD, Mass. 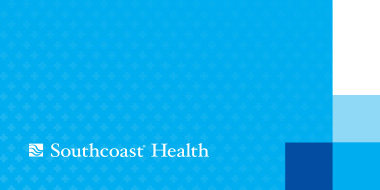 – Southcoast Health today announced that Veronica Del Riccio, MD, obstetrician and gynecologist, has joined Southcoast Physicians Group, and will see patients at 543 North St. in New Bedford. Prior to coming to Southcoast Health, Dr. Del Riccio was attending physician at Northern Berkshire Obstetrics and Gynecology in North Adams, Mass., since 2011. Dr. Del Riccio earned her medical degree at St. George’s University School of Medicine. She completed her residency in obstetrics and gynecology at the University of Connecticut, where she was chief administrative resident in her last year. She won resident awards for demonstrating utmost patient and medical care, and enthusiasm and dedication to medical student teaching. Dr. Del Riccio earned her Bachelors of Science from the University of Toronto, where she also completed a Masters of Science. Dr. Del Riccio is a member of the Massachusetts Medical Society, and a junior fellow with the American Congress of Obstetricians and Gynecologists. Dr. Del Riccio enjoys providing comprehensive women’s healthcare for all ages. She believes in fostering a strong partnership with patients to help people achieve optimal health and wellbeing. Her clinical interests are in pelvic surgery, laparoscopy, robotics and the treatment of incontinence. She also enjoys the practice of low and high risk obstetrics. She is fluent in medical Spanish. To schedule an appointment, call 508-973-2208.